A tribute to Isaac Asimov. – A robot may not injure a human being or, through inaction, allow a human being to come to harm. – A robot must obey the orders given to it by human beings, except where such orders would conflict with the First Law. – A robot must protect its own existence as long as such protection does not conflict with the First or Second Laws. 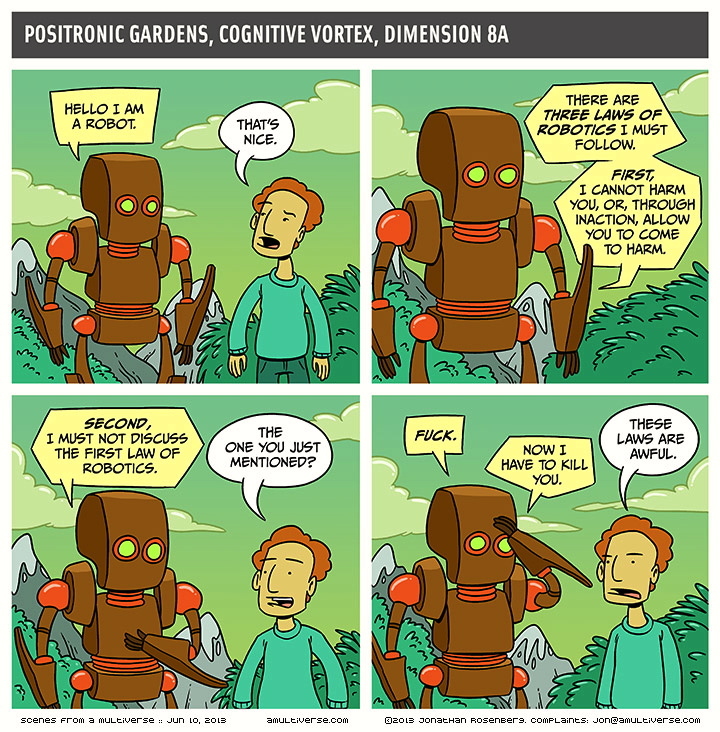 This entry was posted on June 10, 2013 at 6:53 am and is filed under Fiction, Linguistics in the comics, Pop culture, Technology. You can follow any responses to this entry through the RSS 2.0 feed. You can leave a response, or trackback from your own site.